Founded in the year 2011, MH Cranes & Engineering is a specialist in the lifting industry. We are a Sole Proprietorship based firm. Our core business activities encompass the manufacturing of lifting equipments. 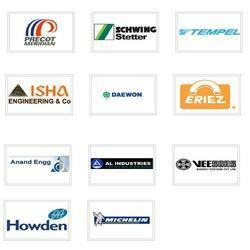 We are the one stop solution to industrial products. We are offering EOT Cranes, Gantry Cranes, Jib Cranes, and much more. We are the service providers of Crane Services to our customers. Our team of experts in the crane business is dedicated to ensure an operative crane in the work site and always ready to provide 24x7 services. We have built ultra-modern infrastructure unit at our premise in order to have bulk of production. The unit is supported with latest technologies and tools with an aim to manufacture excellent quality range of products. These technologies are upgraded time to time to have longer functional life. Apart from these, we have parted the unit into various departments like manufacturing, logistic, R & D and many more.